My, how time flies! It seems like just yesterday we were celebrating strawberries and eagerly awaiting sweet corn season. Now, with just two weeks left (10/9 & 10/16) in our 2014 season, we are enjoying pumpkins, apples, and winter squash! While the warm weather may be waning, the fall produce is as beautiful as ever. Come join us for our finals weeks! We are excited to announce that South Wedge Soap is back at the market this week. Their beautiful, locally produced soaps are made using ingredients grown right in the South Wedge! Buzz’s Garden is bringing their incredible, sweet salad turnips. If you haven’t tried them yet, they are an absolute must! Buzz’s will also have French breakfast radishes, carrots, lettuce bouquets, kale, mustard greens, baby Asian salad mix, pea shoots, Asian eggplant and sweet peppers. K&S Bischoping will bring of Honey Crisp, Crispin, Macoun, McIntosh, Cortland and a variety of heirloom apples. Need some pork to go with those apples? Seven Bridges Farms will bring a wide selection of their beautiful meats to the market this week. Pick up fresh beef steaks and roasts, pork products, and fresh chickens and eggs. Nordic Farms is bringing a selection of jams, jellies, pickles, salsas. Bolton Farms will bring lettuces, spring mix, and Butterhead Bibb to the market along with spinach, arugula, watercress, tatsoi, bok choi, swiss chard, and mustard greens. They will also have sweet peppers, winter squash (butternut, buttercup, red hubbard, acorn,delicata) and cauliflower. Talented faculty and students from the Eastman School of Music bring Zimbabwean music to the Market’s music tent this week! Highland Librarywill again join us to share branch information and free books. Kids can stop by the Wedge Veg Passport tent for fun activities. Chef Adrian Baldwin of Napa Wood-fired Pizzeria will offer a cooking demo of good foods from the market, with free tastes. Don’t forget about our bonus program, the Fresh Connect Checks program. For every $5 in EBT tokens purchased, a customer will receive a $2 Fresh Connect Check with which to purchase food at the market! This is in addition to our regular bonus program, still in effect — EBT customers can receive $5 in bonus tokens with at least a $10 token purchase with their EBT card. SWFM customers can park in the big lot across from 140 Alex (at Broadway), in Highland Contractors’ lot at 620 S. Clinton, and, after 5 pm, in the Glidden Paint Center (Alexander and S. Clinton). Thanks to our generous neighbor merchants. Thanks to the following generous sponsors of this year’s South Wedge Farmers’ Market: Highland Hospital, Genesee Co-op Federal Credit Union,Wedge 23 LLC, and South Clinton Merchants Association. 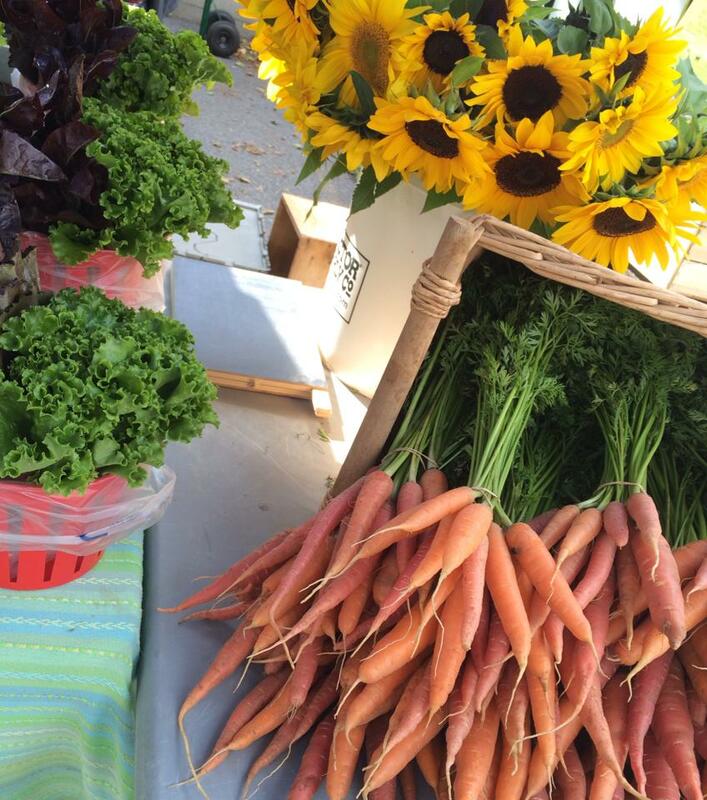 The South Wedge Farmers’ Market is held every Thursday through October 16, from 4-7 pm, at 100 Alexander St. (at the corner of S. Clinton, behind Boulder Coffee). The market is a project of the South Wedge Planning Committee.